For more on the design of tracker management tools see my blog post on designing privacy tools. Mobile app and desktop interface for privacy management. 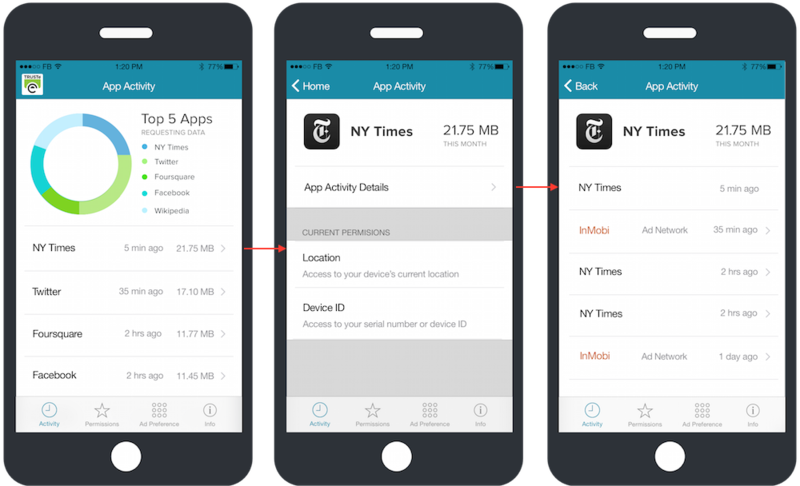 Both products enable the user to manage ad tracking preferences, as well as view data permissions and data calls in the mobile app. In the original product consumers did not understand what it meant to 'opt-out' of tracking. An infographic was created for each category of opt-out with a slider interface to toggle between them. 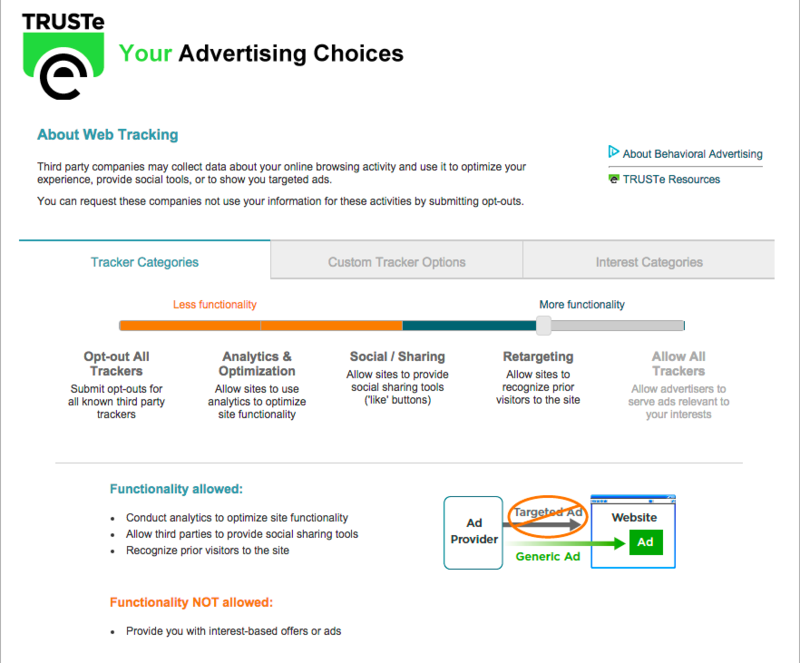 The tracker opt-out table was simplified and moved to a secondary tab for the minority of users who prefer this granularity of opt-out - it has been replaced on the main screen with a category-based slider. 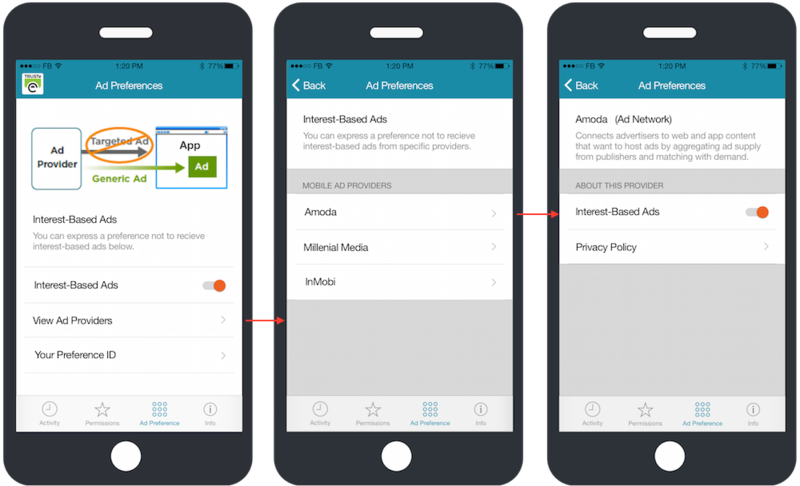 The mobile app provides the same Ad Preferences functionality, but targets mobile-specfic ad providers using in-app SDKs for enabling opt-out preferences. 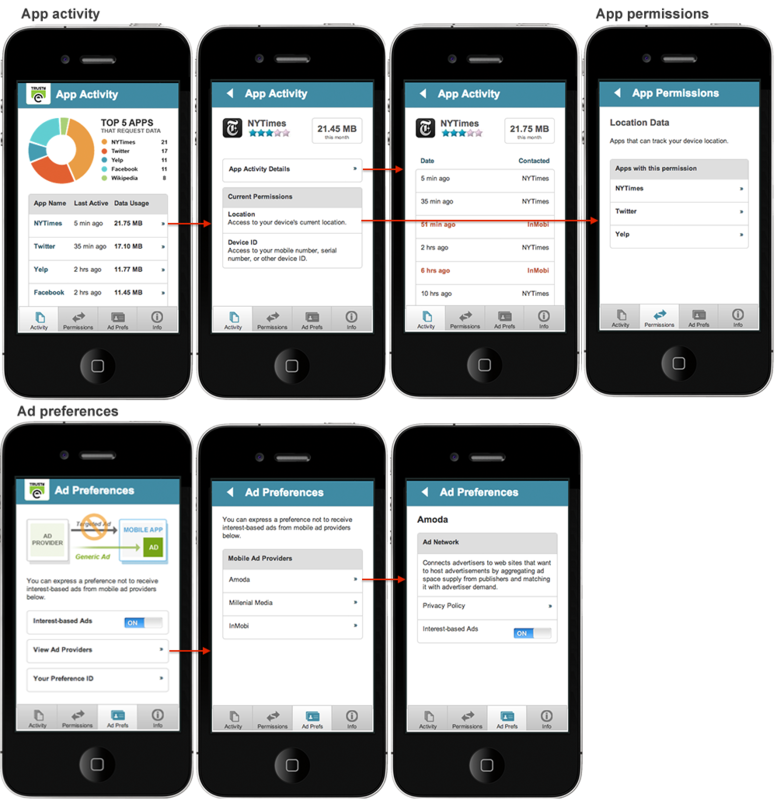 In addition to the Ad Preferences section, the mobile app implementation of the privacy management tool includes an App Activity section which allows the user to see data consumption, including what data calls their apps are making. 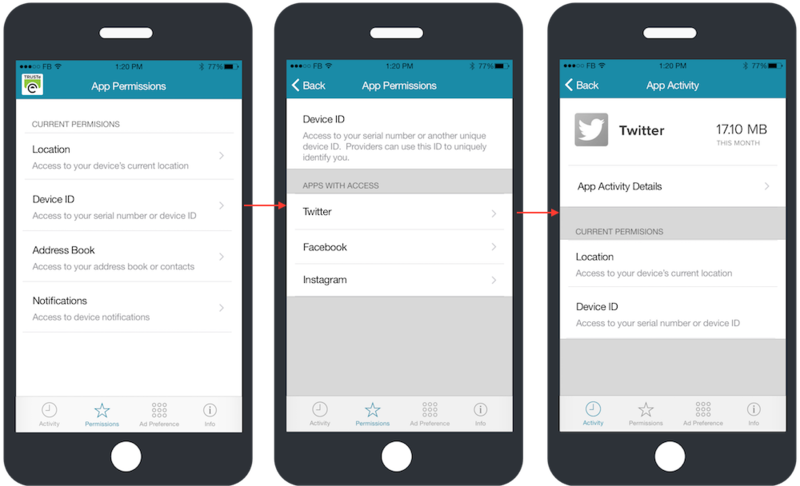 The app also contains an App Permissions section which allows the user to see which OS permissions are available to the apps on the device.